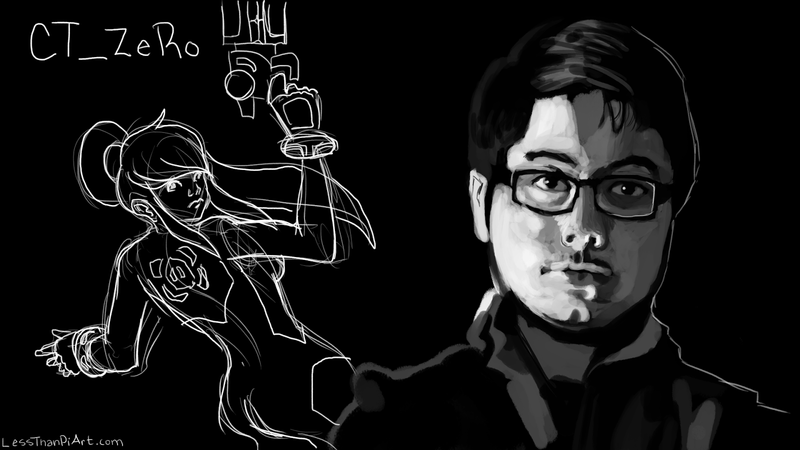 Another CT_Zero related piece, this time I did a portrait of CT_ZeRo and a little ZSS sketch. You can check out the process video below. This took about 45 minute from begining to end, it was fun to do and I feel like I learned quite a bit. I think I could have pushed a little harder to get a little more likeness, but I need to spend some time with the babies today. I think I'm going to try and draw my boy Hbox tomorrow, but definitely let me know who I should draw next. Oh, and if you are into League of Legends check out some of my Cloud 9 portraits if you have time. As always God bless. Be safe.